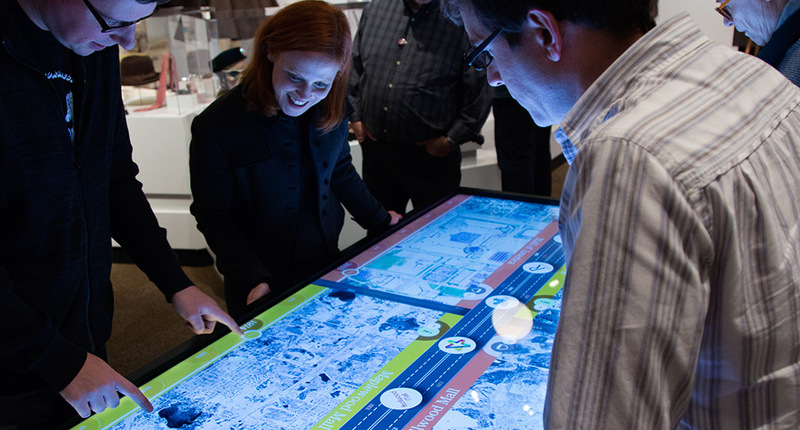 Ideum collaborated with the Minnesota Historical Society to develop an interactive for the Suburbia exhibit at the Minnesota History Center. 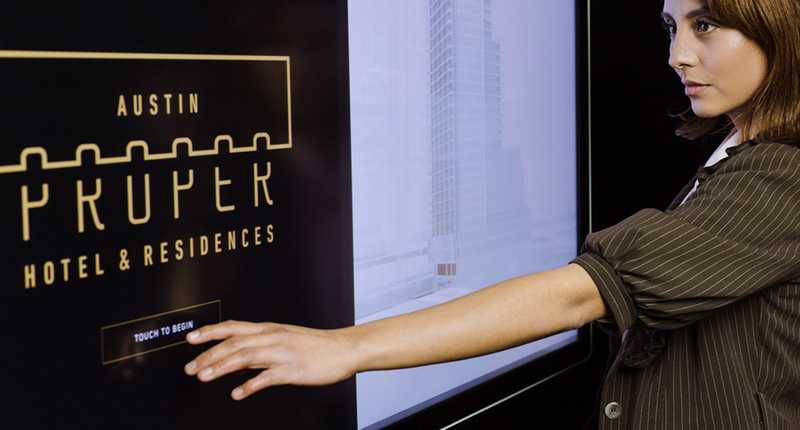 In the activity, visitors choose a mall from the Twin Cities area and pull its logo from a central moving belt into a viewing window. Then, they control a sliding timeline at the bottom of their window in order to watch the view change between different aerial photos of the sites of their chosen mall dating from 1937 to the present day. They watch how the land changed over time and see how the development of the malls and other features changed the suburban Minnesota landscape. The application has four separate viewing windows, so that four individual users can each explore the geographic area that they are most interested in without interfering with the experience of the other users at the table. The application runs on an Ideum Presenter 75 for which the Minnesota Historical Society built a custom base. Ideum and the Minnesota Historical Society worked very closely on this application. 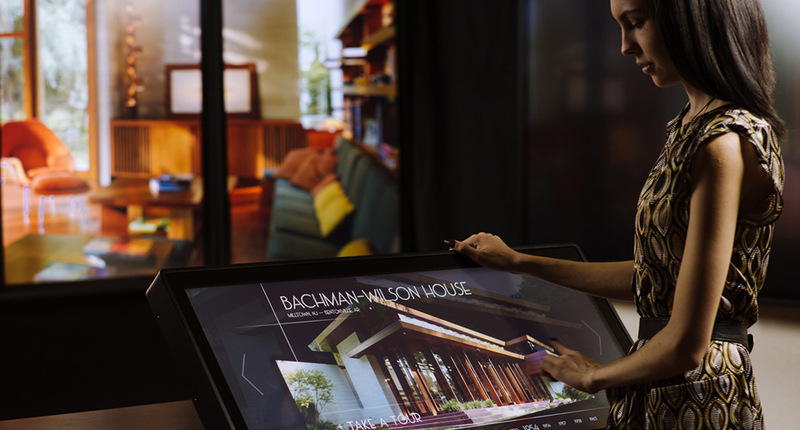 It was a rare opportunity for both parties to first build and develop wireframe versions of different user interface options and test them in the real-world setting, on the target hardware, far in advance of the real exhibit. The eventual user interface design was heavily based on feedback from visitors to the Minnesota History Center. 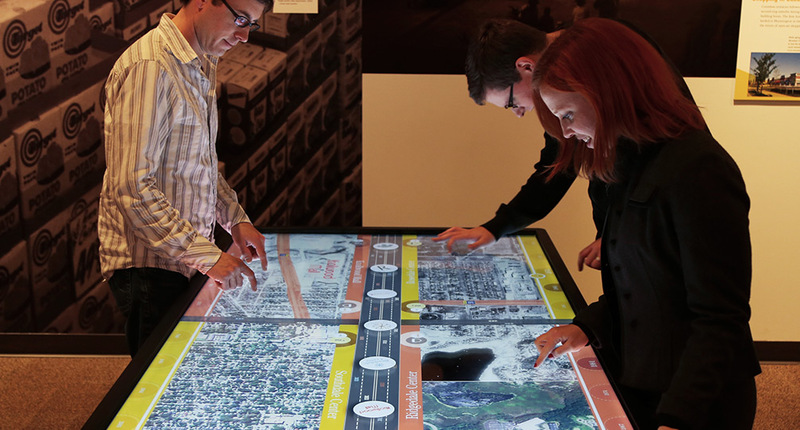 The interactive is located in the Suburbia exhibition at the Minnesota History Center, which runs through March 20, 2016. Project update: On May 26, 2016 the American Alliance of Museums awarded the Suburbia Touch Table Interactive a Silver MUSE Award. Visit AAM’s website to view all of the 2016 winners.